Optimistically, one might be tempted to think that, once the elections were over and victory assured, attitudes and declarations would become more rational and realistic. So far it has not been the case. Threats against persons and social movements continue to be made by the new elected President and his supporter. Same violence and uncertainty are also leading in foreign policy and new scenario look difficult to predict for the moment. For many people – and not only for the supporters of the Workers’ Party – the choice posed by the second round of the presidential election was not so much between right and left, but much more between civilization and barbarism. We have to admit, in spite of the deep pain this admission causes, that, on the face of it, barbarism won. Is it possible to “domesticate” it or at least mitigate its worst consequences? And if so, how to proceed? What is the best way to influence positively the political life in such a huge country, without meddling in its internal affairs? These – and not only financial and commercial calculations – are some of the thoughts that should be in the minds of the decision makers in Brussels and in all European capitals as they ponder on the future of what, at a time, looked as a promising partnership between a group of rich countries and a developing nation considered as a model democracy, which seemed to have found a formula to reconcile economic growth, political freedom, commitment to sustainability and social justice. The association between Brazil and the EU (either directly or through Mercosur) always had a political as well as an economic pivot. 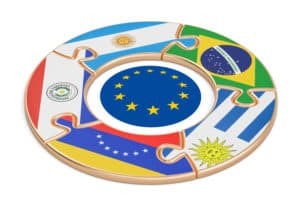 In foreign policy, open criticism of Mercosur (“not a priority”), disparaging comments on international organizations and, above all, the stated intention of following Trump’s example in moving the Embassy from Tel-Aviv to Jerusalem, apart from aggressive language towards Venezuela and anti-China remarks, are pointing to total alignment to Washington, precisely at a moment in which Europe and a great number of countries are pondering how to react to the United States’ declared inclination towards unilateralism. This blind alignment, which is a caricature of Trumpism (supposing this is possible), is raising eyebrows even among conservative politicians and journalists, who are concerned with the disastrous effects on trade or, more generally, on Brazil’s tradition of respect for multilateral norms and support for dialogue and peaceful solutions of disputes. 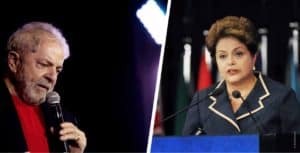 What’s future for the EU-Brazil partnership? Brazil has a strategic partnership with the European Union, established in 2007, during the government of former President Lula da Silva. Economic considerations certainly weighed on Brussels’ and the EU members’ initiative of making such a proposal. The association between Brazil and the EU (either directly or through Mercosur) always had a political as well as an economic pivot. 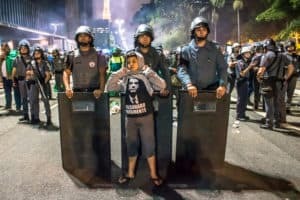 Beyond important considerations on subjects such as Human Rights and Environment, our European friends will have to consider which is the role that this new populist and rightist Brazil will play in the world.